The Charity Commission is writing to charities that work in complex areas, such as international development, and have not reported any serious incidents amid fears they are not being transparent enough with the regulator, its chief executive has said. 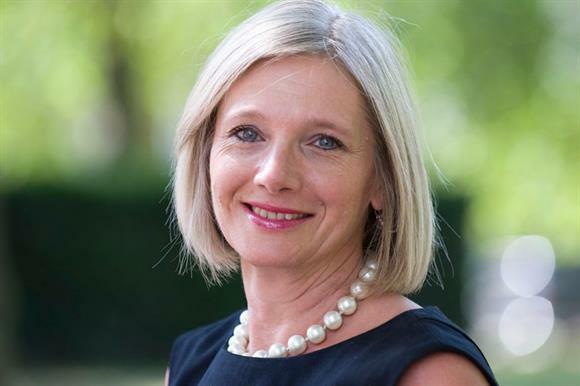 Speaking at an event at Cass Business School’s Centre for Charity Effectiveness last night, Helen Stephenson said the number of serious incidents reports to the regulator had increased in the past year to almost 2,300, compared with more than 1,900 the year before. She said this showed that charities were being more transparent and willing to report incidents to the commission, not that the number of incidents was actually increasing. The increase comes after a drive by the regulator to encourage more reporting of incidents in the wake of the safeguarding scandal earlier this year. Later in the evening, Judith Brodie, interim chief executive of the international development umbrella body Bond, asked how the commission could help the sector let the public know that increases in reporting figures showed that charities were doing more to tackle safeguarding issues. Stephenson said the commission welcomed increased reporting and was more concerned about the charities it did not hear from than the ones it did. "It is really important that charities see the value of reporting to us," she said. "We are writing to charities where we haven’t seen any reporting rather than to charities where we have. Some charities are working in complex operating environments at scale, and evidence tells us we would expect to see reports." In response to a question from War on Want about what the commission could do to protect charities working in Palestine from campaigns to discredit them, Stephenson said the commission should not be "caught in the crossfire" of political disputes between different organisations. "I am disappointed at what I see coming into my inbox from all parts of the sector, where people dob each other in and use us as a way of getting back at another part of the sector they don’t agree with," she said. "I see that from across the spectrum. To me, where people use us as a way of getting back at a set of views they don’t agree with, that doesn’t enhance my concept of charity." Stephenson reiterated the commission’s view that it needed to reflect public opinion to charities, rather than act as an "uncritical friend" to the sector. She said commission research showed it was a universal view across all sections of society that charities’ good work did not justify methods seen as "uncharitable" or of dubious ethicality. "This expectation is not one we have just made up in the commission," she told the audience. "It is not one you just read about in the headlines and articles of certain newspapers. It is universal. "Whether an individual reads The Guardian or the Mail, and regardless of whether they prefer to donate to large aid organisations or small community groups, we all look to charities to be role models, not just in what they seek to achieve for their beneficiaries, but in how they go about seeking that outcome." Many senior leaders in the sector agreed with this view, Stephenson said. She added that the public wanted to be able to respect charities for their work, even if they did not expect them to be "universally likeable".